Belveda Associació i Club de Fum is an association that aims to give access to cannabis users, both for responsible and therapeutic use, to obtain its legally and without the need to approach huslters on the streets selling rubbish and the inconveniences that this practice entails . Belveda Cannabis Club Barcelona has been founded to try to normalize cannabis usage in our private society. In our club we embrace the responsible consumption of cannabis. Here you can relax, take a drink and smoke enjoying our club. 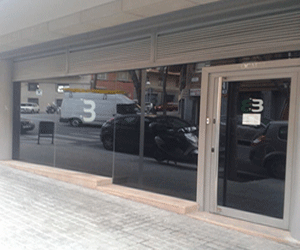 Our doors are open to our members (please register first by email) who wish to use our facilities located on carrer Renaixença 16, Local 03, a few meters from the exit Guinardo / Hospital de Sant Pau, yellow line L4.